HONG KONG (April 2019): We are excited to announce that starting from April 2019, Kerry Wines has become the exclusive distributor of the following prestigious estates, Bouchard Père et Fils, Domaine William Fèvre and Champagne Henriot, in the Greater China region, including the Mainland, Hong Kong and Macau. “We are honored to add these iconic French producers to our portfolio. Champagne Henriot is a family owned house with over 200 years of history, while Bouchard Père et Fils and Domaine William Fèvre, under the ownership of the Henriot Family since the mid-90s, have risen to the top.” - Eric Desgouttes, General Manager of Kerry Wines Greater China. 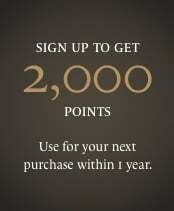 Kerry Wines is the Kerry Group’s specialist fine wine company. Founded in Hong Kong in 2010, it has offices in Beijing, Shenzhen, Shanghai and Hong Kong. 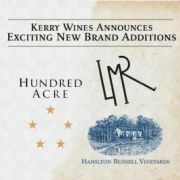 “We are delighted to be entering into a strategic partnership with Kerry Wines. The combination of our long-term family vision, dedicated to quality, coupled with their expertise in distributing high-end domains, creates a powerful and promising partnership. We are looking forward to further developing the presence of our Houses, to the increasingly demanding consumers in Greater China. Our range of wines displays our expertise in offering them an exciting and highly refined experience of the finest terroirs.” - Gilles de Larouzière, President of Maisons & Domaines Henriot and family shareholder of Champagne Henriot, Bouchard Père et Fils and Domaine William Fèvre. Bouchard Père et Fils can trace its history back to 1731. Since Henriot family’s acquisition in 1995, the estate has rejoined the top echelon of Burgundy producers. Under the Henriot direction, the first-ever gravity-flow winery in the region was completed in 2005, contributing to the ever increasing wine quality. The Bouchard Père & Fils Estate holds finest plots in the most prestigious Côte de Nuits and Côte de Beaune vineyards, more than two-thirds of which are planted with Grands Crus and Premiers Crus appellations. These unique and exceptional holdings enable them to produce very pure expressions of the many different terroirs. Domaine William Fèvre is arguably one of Chablis’ greatest domaines. Following Fèvre’s retirement in 1998, the estate was sold to the Henriot family. Since then, head winemaker Didier Séguier, has steered what was then an oaky style of Chablis, to one that was much more terroir driven. The resulting wines are showing amazing purity and concentration, expressing the unique personality and minerality of each vineyard. Domaine William Fèvre owns the largest array of Premier and Grands Crus vineyards in Chablis. The estate has been farmed organically since 2006 with selected parcels farmed biodynamically. Founded in 1808 by Apolline Henriot, Champagne Henriot is one of these rare, independent Champagne houses that has been owned by a steady line of the same family since the beginning. The Henriot style is known for wines that strikingly combine refined elegance and freshness with aromatic complexity, with Chardonnay always in the limelight. One of the keys to Henriot's consistency is the quality of their Grand Cru and Premier Cru vineyard supplies in particular from the Côte des Blancs and the Montagne de Reims, which form the core of their aromatic, balanced and long-lived Champagnes.